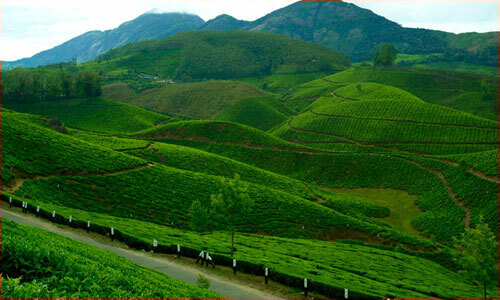 Munnar is best hill station in southwestern state kerala. It is situated around 1600 m above sea level. It is best place for honeymoon . It's known for tea gardens, lakes, waterfalls and beautiful country side. It is peace full place for holiday tours. Ooty is a town, a municipality in district capital of the Nilgiris district in the Indian state of Tamil Nadu. It is best place for tourist. Many honeymoon couple come in ooty each year. It offer many type of adventures activity like angling, hand gliding, trekking, etc. Kodaikanal is hill station located in Dindigul district of tamil nadu. It is popular place for tourist. it is knows for Princess of Hill stations . Kodagu also known as Coorg. It is located in Karnataka, India.Coorg Knows for Coffee and its ethnic warrior people ,it is main tourist attraction. It is best Hill station. Idukki is best hill station. It is located in kerala( india).It is known for its panoramic view points and the Idukki dam, which is world’s second and Asia’s first arch dam. Elephant safari is best activity in Idukki. South India can not have any other place to celebrate holidays for honeymoon. The beautiful landscape will inspire you to celebrate completely. Enjoy the journey by visiting the packages for touring beautiful tourist attractions on packages South India.com. Munnar Hill, Ooty Hill, Kodaikanal Hill, Coorg Hill and Idukki Hill are main attraction tours of South India Honeymoon vacation..
Do You Know Idukki Tourism Attraction? Do You Know Coorg Hill Tourism Attraction?